The controversy about the movie involves its unambiguous cause and effect assertion that the torture of al-Qaida principals and hangers on was the key to finding Osama bin Laden – ie: torture works. Pretty much everybody in the intelligence community in a position to say this isn’t true has said it isn’t. And then there’s the girl-alone-against-the-world narrative: Maya, our heroine, thinks about nothing else but Osama bin Laden for almost 10 years and because of this single-minded obsession, American forces are able to find and kill him. That according to everybody and anybody, and to common sense, is hogwash too. A non-fiction writer couldn’t do this. If you did this and maintained, to the extent that the makers of Zero Dark Thirty appear to maintain, that this was true, and with as little documentary evidence, either no one would publish you or you would have to invent evidence to get published. And then, you’d invariably be found out, scandal would ensue and your name would be blackened. Movies, on the other hand, even when they represent themselves to be non-fiction like Zero Dark Thirty, are still what we accept as a “dramatization”, so therefore not really real. How that is different from a non-fiction author using novelizing techniques to bring to life his story – and subsequently being humiliated by Oprah when he turns out to have significantly stretched the truth – I don’t know. 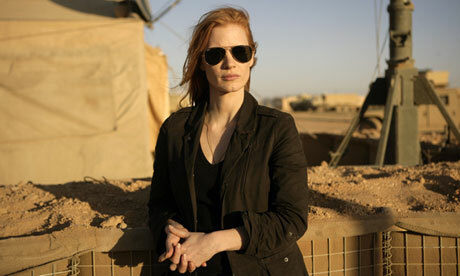 Will the new Osama bin Laden film “Zero Dark Thirty” rehabilitate torture?